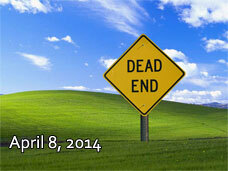 On April 8, 2014 - 51 Weeks away from now- Microsoft will terminate extended support for the wonderful Operating System Windows XP. 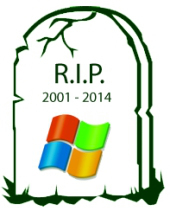 That will mean big problems for PC users and bigger problems for organizations that still rely on Windows XP. I guess some IT directors and CIOs are hoping/suspecting that Microsoft will be the good guy here and extend Windows XP support....AGAIN. There are so many tools available now, including application virtualization that should make migrating easier than ever. Whats the excuse for not having a plan or already having migrated off of Windows XP? Budgets? Please! Go ahead be "Penny Wise Pound Foolish". OK. I'm Will Lassalle and I endorse virtualization!